A new elementary school to be built in south-end Halifax will come equipped with a lockdown system complete with automated announcements, blue strobe lights and an exterior warning sign. 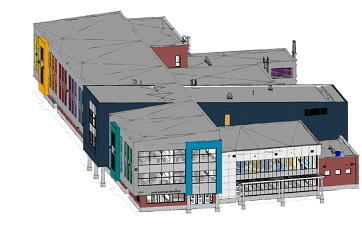 The new school, which will serve students in grades Primary to 6, will be constructed on the site of the former LeMarchant-St. Thomas Elementary School at 6141 Watt St. The provincial Transportation and Infrastructure Renewal Department issued a tender for the school’s construction on Thursday. When an activation button is pressed, an announcement will play for 30 to 60 seconds to indicate that the school is in lockdown. The system will also send a signal to the door access controller, which will restrict who is authorized to enter using a card or the keypad reader. A reset button will deactivate the system when the lockdown is over. The system will cost about $25,000.